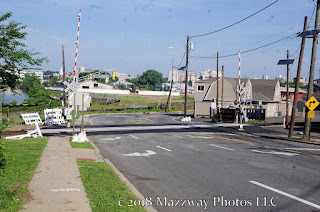 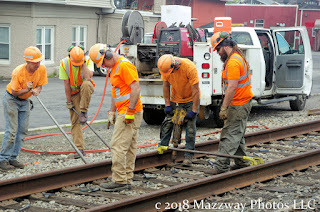 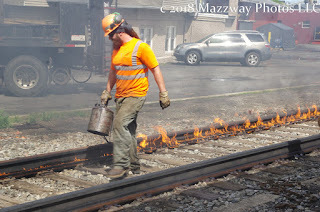 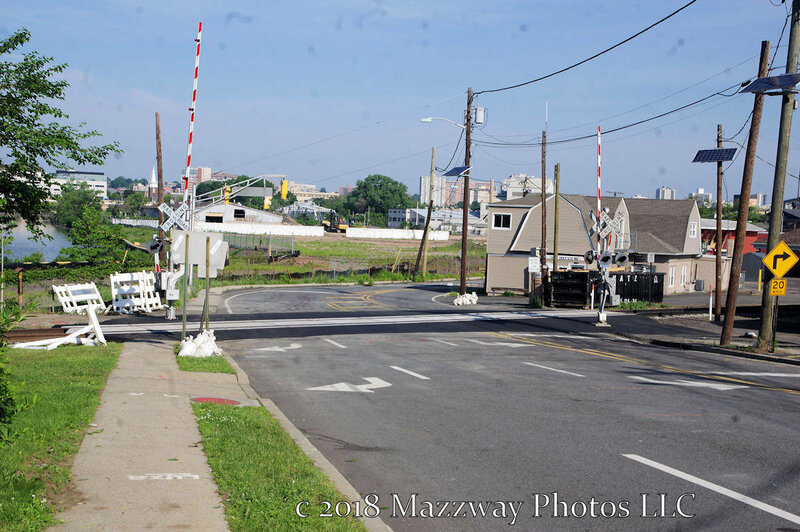 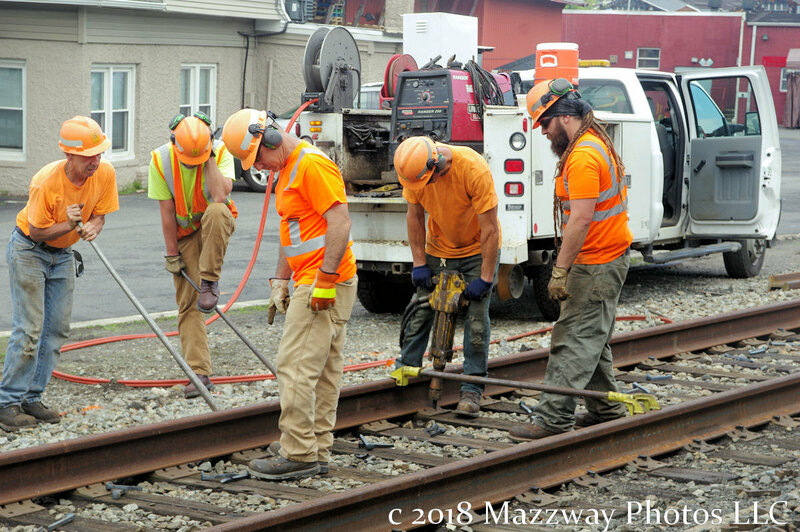 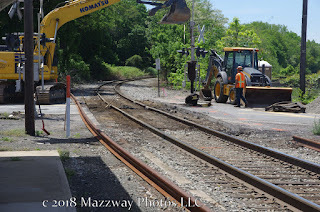 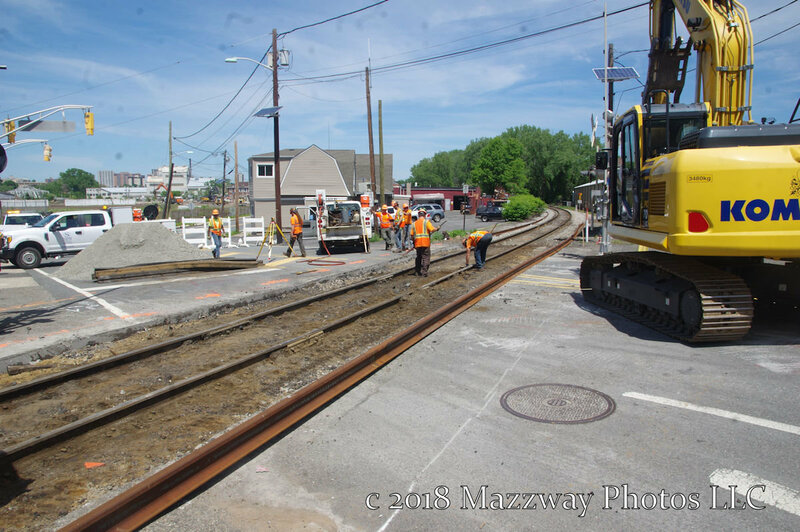 Early on Saturday morning the Railroad crossing at W. Ft. Lee reopened for traffic.The New York Susquehanna & Western Railway (NYSW) reconstructed the crossing over the past five days causing Crews from NYSW removed the asphalt from between the rails and from both sides of the track. 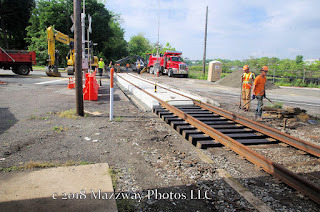 The space between the rail and from 6" on both side of the rail were replaced with precast concrete road bed. 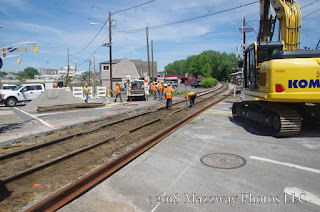 The railroad tracks were then be fastened to the concrete and rubber strips were place to fill the gap. 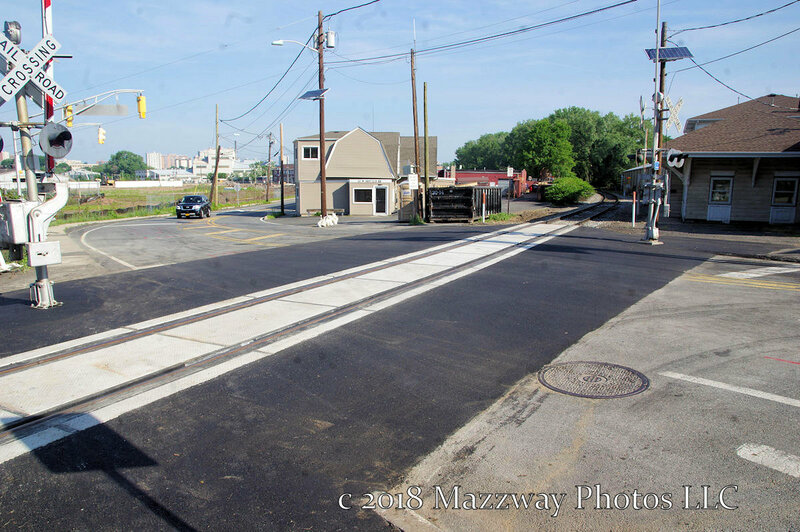 This will make the vehicle road surface smoother but with a textured surface for better traction when driving over the crossing. From the concrete edging to the existing roadway will be re-paved in asphalt. There will be no work done to the crossing gates and signal. 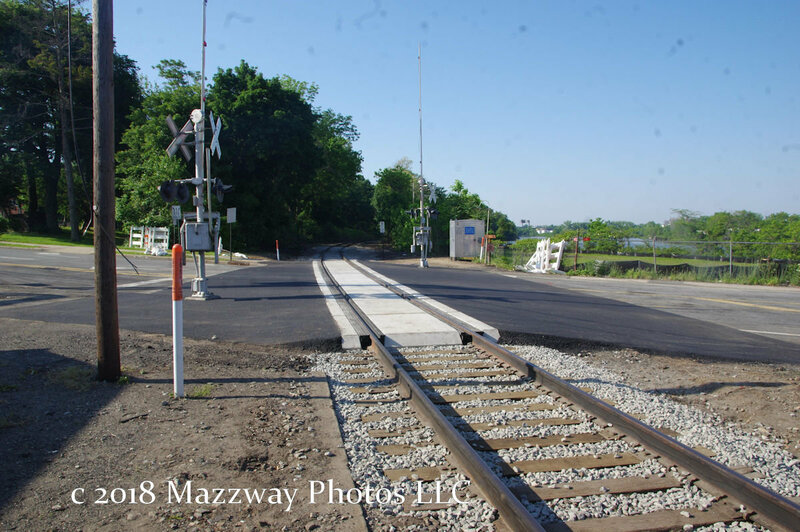 Road marking and other cosmetic treatment will be added in the future. 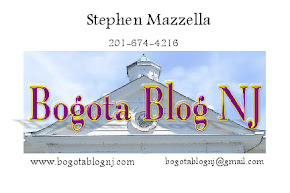 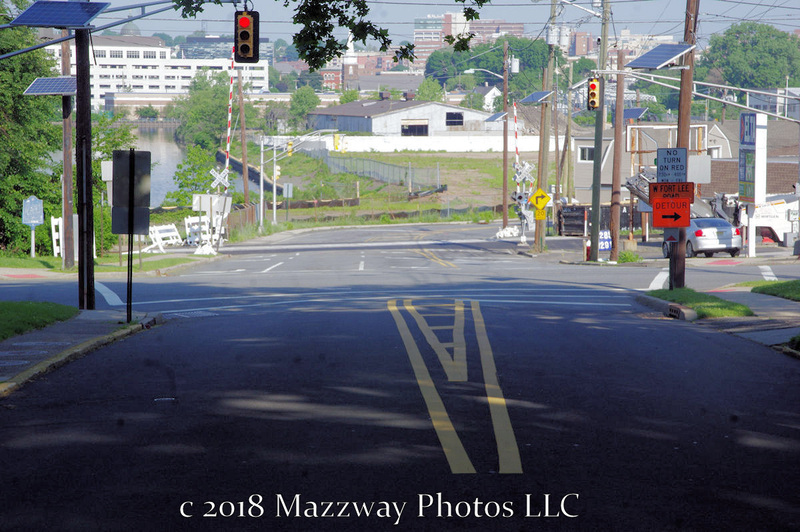 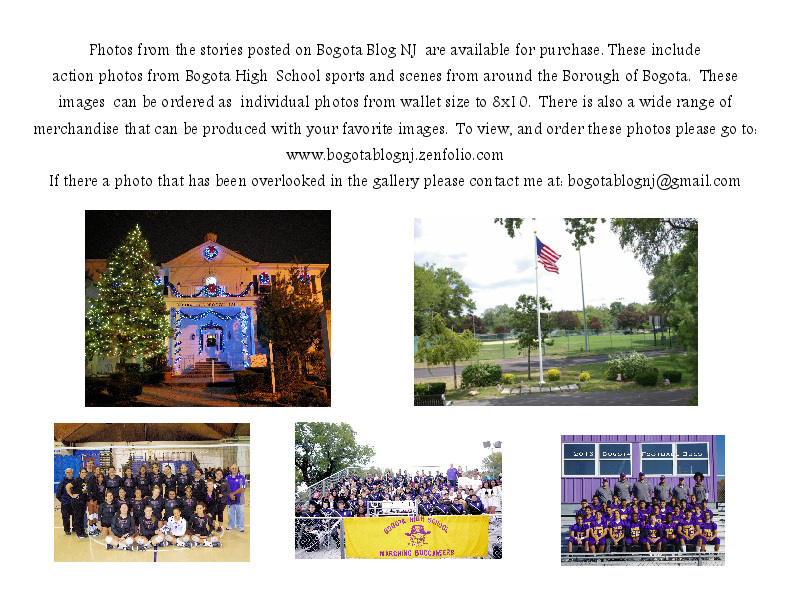 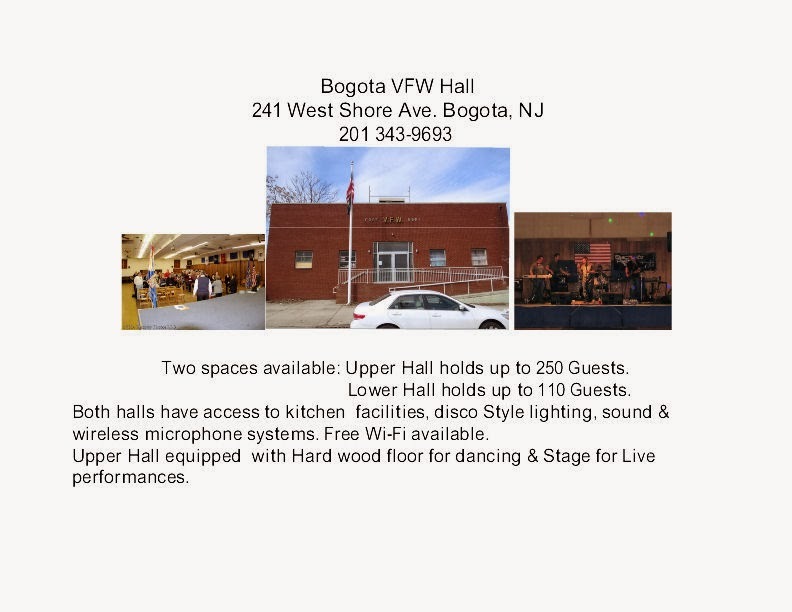 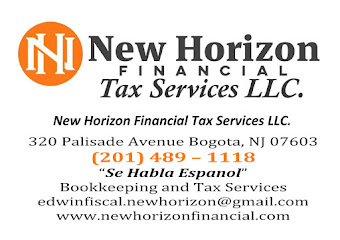 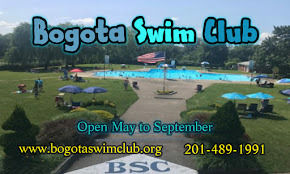 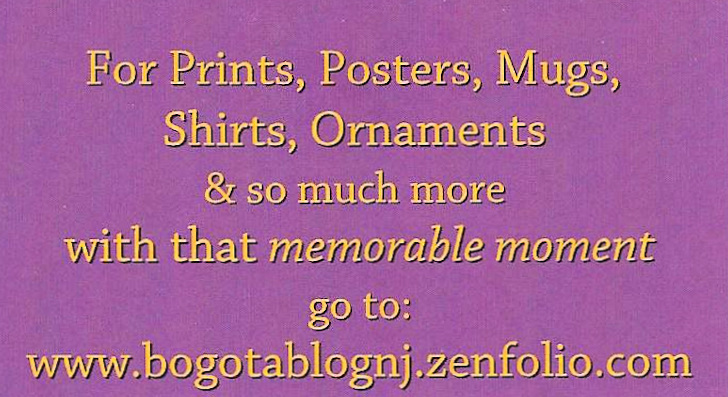 Bogota now has two rebuild and open access road over the Hackensack river. 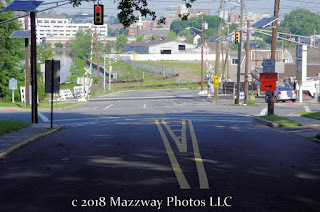 Then next major road project for Bogota will be the regrading of River rd at Elm ave. A work schedule should be proved at the later date.